NAIROBI – Keepers of livestock in Kenya are increasingly finding it difficult to buy feeds as a result of a steep rise in cost of imported Ugandan maize the manufacturers are currently using to produce the product, Business Daily has reported. The development follows a shortage in local production. According to Business Daily, the Association of Kenya Feeds Manufacturers (Akefema) says the cost has shot up from KSh1,400 per 90-kilo bag two months ago to current KSh2,100 while they are hardly getting any maize from local farmers. Akefema publicity and marketing chairman, John Gathogo, says manufacturers are also having difficulties obtaining enough stocks in Uganda and the current holdings are about to be depleted. 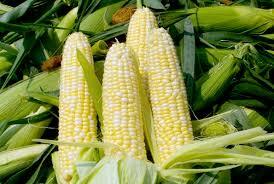 However, Ugandan farmers continue to complain, saying their maize is taken at very low prices. “There has been steep rise in the cost at which we buy maize from Uganda and we are afraid that an increase in cost of animal feeds will be inevitable,” Mr Gathogo said. A 70-kilo bag of layers’ mash is currently retailing at KSh3,200 while the dairy meal is going for KSh2,300. Kenya gets most of its soya, cotton cake and sunflower from Uganda, Malawi and Zambia.